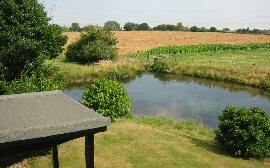 Rye Farm is farmed by Peter Bunting while his wife, Virginia, runs the B&B and self-catering side of things. Peter is the third generation of the Bunting family to have lived and worked here, his grandfather having purchased the farm in 1921 - nearly 90 years ago. The farm was compulsorily purchased in the 1930s to build Abberton Reservoir and subsequently the family became tenants of Essex & Suffolk Water. Neighbouring Abberton Reservoir has now been massively enlarged and as a result Rye Farm has been reduced in size. We still grow some cereals and graze a few livestock. 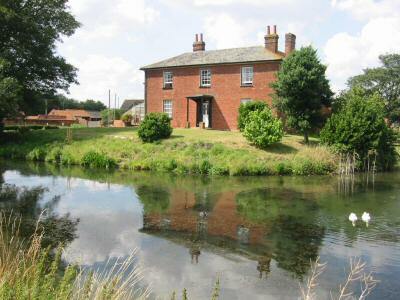 To the front of the house is the moat, popular with our Aylesbury ducks. Beyond the moat, the farmhouse looks out over Abberton Reservoir. This 1200 acre Reservoir is a Wetland of International Importance, a Site of Special Scientific Interest, a Special Protection Area, and one of the most important wildfowl havens in Europe. Some of the wildfowl seem to prefer the facilities we offer at Rye Farm!